Entries must be made by Friday, March 30, 2018 at 10:00 am CST. Winners will be announced and contacted by email shortly after. One entry, per person, per day! 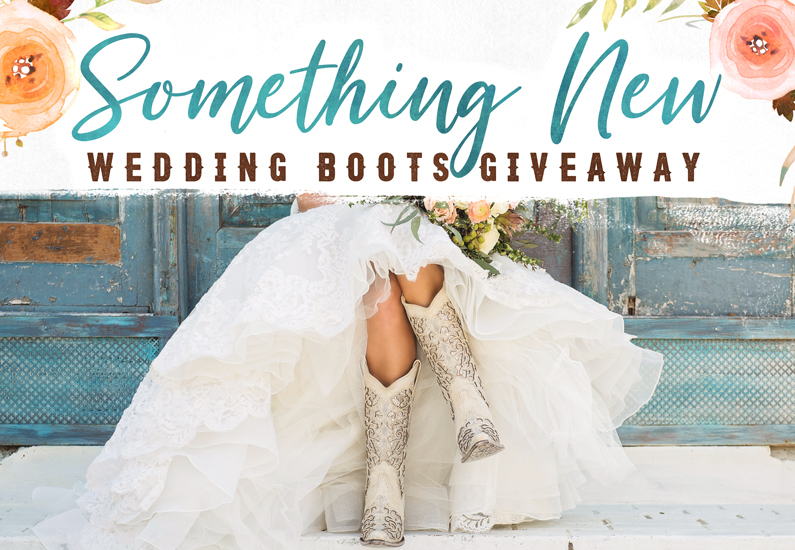 Find the perfect pair of boots for your big day at Cavender’s! Wow, thanks for this sweet contest. You guys are the best! These are beautiful!! Hope I can win them for my daughter!! My soon to be sister in law would love these. They would go perfect with dress. Thanks for the chance. My daughter’s wedding is coming up and this would be the best surprise ever! Beautiful boots!! Would be perfect for our big day!! Such beautiful boots, I would love to win them for my wedding in July 18. It will be an outdoor wedding and these are perfect! Good luck to all brides to be.! What an amazing contest! You guys rock! I’ve always dreamed of having the perfect boots to go with my wedding dress, and these are definitely the ones! I’ve come across these multiple times, and it would be a dream come true to win these and not have to add another expense to the wedding! These are beautiful they would be great for my wedding! These are gorgeous and would be perfect for my country themed wedding! Thank you for having this contest! Awesome. Thanks for the give away opportunity! These boots would certainly make the day even more special for a bride on a tight budget! !